The most difficult cases we encounter are wrongful death cases. When someone you love is taken away through the actions of someone else, there is no way to truly make up for it. The law does allow you to receive financial compensation for their passing. It is in no way a substitute, but it can help with expenses. Beyond that, it can even help you to begin the next phase of your life. A wrongful death lawyer in Los Angeles from the LA Injury Group can help you in these matters. In this blog, we’ll touch on some facts about wrongful death cases and how we can be of assistance. Here at the LA Injury Group, we’ve been helping folks through wrongful death cases for a long period of time. During that time, we’ve assisted so many in getting the compensation that they deserve. When someone you love passes away, all kinds of new expenses appear. Funeral costs, medical bills that your loved one may have accrued before they passed, and so many others – we can help you to receive compensation for them. When you lose someone, you shouldn’t have to pay out of your pocket. That’s where we come in. We’ve been asked: “what’s the point of the money? Sure, it can help a bit, but it’s not really due compensation.” When the guilty party has to pay money, it can serve as a way of them taking responsibility for what they did. This is especially true when it’s a significant amount of money. Should the guilty party have to pay quite a bit of money, it can let them know that what they did was wrong, and can’t be done again. That way, it hopefully protects the next person. It can also serve as a warning to others who might have done the same behavior. One of the most common types of wrongful death cases that we see are medical malpractice cases. These are typically cases where someone you love is prescribed some kind of medicine that harms them, the wrong operation is performed by a surgeon (or is performed badly) that kind of thing. Tens of thousands of people are killed this way every year. When your loved one goes to see medical professionals, they expect to be taken care of. That’s why it’s so important to get the compensation you deserve from those responsible. When you go to a doctor, your life is in their hands. You rarely have a choice, or can go to see another medical practitioner instead. In fact, we trust them to put us under anesthesia and take care of us when we’re unconscious. When that trust is violated in a gross fashion, some kind of justice must be paid. That’s where we come in. 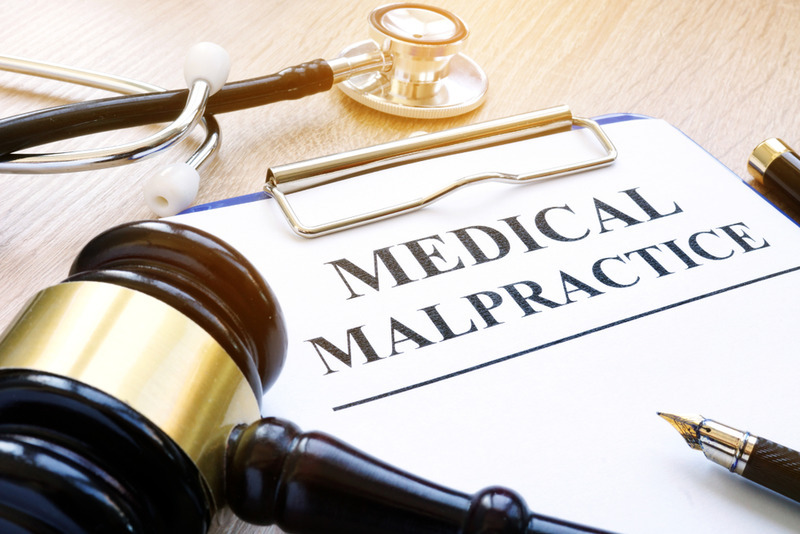 Medical malpractice cases are ones where it’s critically important to have a wrongful death attorney from a firm like ours on your side. The reason for that is simple: the other side is going to have some fantastic attorneys. Doctors and other kinds of medical professionals are going to be able to afford the very best attorneys possible. That’s why you need to get the same caliber of attorneys on your side. Trying to take on one of these medical malpractice cases by yourself can be practically impossible. The other side has plenty of experience, they know the law, and moreover, you’re just going through a very difficult loss. You have so much to worry about, emotionally and mentally, that it can be so hard to focus on your case as well as funeral expenses, your job, moving on with your family, and the like. The LA Injury Group can take your case. It’s one more way that we can offer our clients increased peace of mind. When you buy something, no matter what it is, you don’t expect it to hurt you. Manufacturers have a responsibility to make sure that their products are safe and don’t hurt people. When a defective product leads to the wrongful death of a loved one, it can be a very difficult burden to bear. At the LA Injury Group, we’ve helped people for many years with these kinds of cases. With our experience, we can help you to hold the appropriate parties liable. One of the most common types of defective product cases involve automobiles. There are so many moving parts on automobiles. If even a few of them “go bad” or are otherwise defective, it can lead to an injury or worse. Brakes, tires, shocks and more – cars are designed to be as safe as possible. When the cars themselves fail, the manufacturers have to be held accountable. We see this quite a bit in big rig accidents, too. Different than the medical malpractice mentioned above, defective medical devices can cause great harm to a person. If the medical professionals did everything they could to help someone, but the tools they used were defective, the manufacturers could be held accountable. With the LA Injury Group by your side, we can help you to figure out who’s responsible, and then make sure that they pay you the compensation you deserve. Many of the machines we use every day in our home can hurt us if they’re defective. Essentially anything electric or anything in your kitchen can harm you if it’s not properly put together. All wrongful deaths are tragic, but the wrongful deaths of children can be the most difficult. Many children’s products can be defective and harm them: their toys, crib, clothes and so much more. When your family has been harmed by a defective product, we can guide you through the process. There are all different kinds of ways that defective products make their way into the marketplace. Often, there was some kind of manufacturing defect that was never caught at any part of the development process. This can happen when manufacturers don’t test the product enough or even at all. What’s worse is when the manufacturer is aware of the product’s problems but still sells it anyway. That’s negligence or worse. We can make sure the manufacturer is held accountable for that. Some workplaces are naturally dangerous: factory floors, anything involving driving, and so many others. However, your employers have a duty to ensure your safety. That isn’t just some “pie in the sky” language; OSHA has strict rules. Employers have to meet a very specific and demanding caliber of safety standards for your workplace. That’s good for the employees, the employer and the business in general. However, some employers don’t follow those guidelines (even though they should). Some employers don’t do everything they can to ensure a safe workplace, cutting corners along the way. That’s how wrongful deaths can happen. Should your loved one’s employer have subjected them to a dangerous work environment that didn’t have to be that way and it lead to an accident, you very well could have a compelling wrongful death suit. Your employer is more than someone who just pays you; they have a responsibility. When they don’t live up to that, you need an attorney you can trust. The LA Injury Group can be by your side as you go through the wrongful death case process. From the beginning, we’ll let you know what we think your claim is worth. That’s backed by our years of experience. Then, we’ll investigate the accident, figuring out exactly what happened. From there, we’ll negotiate with the other side. When they make an offer, you’ll know. We’ll let you know how the case is going every step of the way, so that you’re always informed to make the best decision. Call us for a free consultation today at (818) 210-4558.